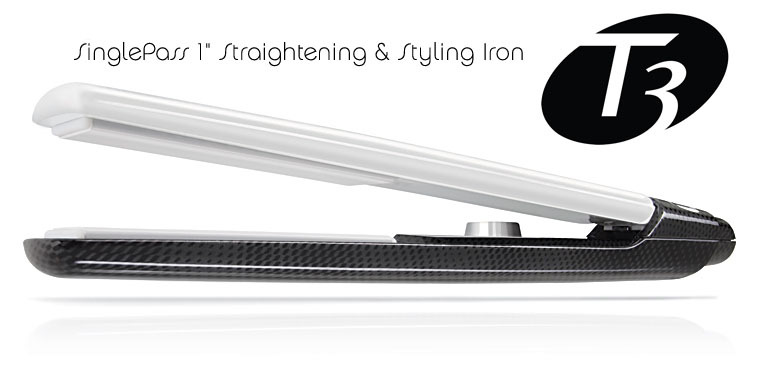 T3's award-winning, iconic 1-inch flat iron for smoothing and shaping world-class hair. This iron features cutting edge Tourmaline SinglePass(TM) technology for flawless, high-gloss hair in one pass and without damage. 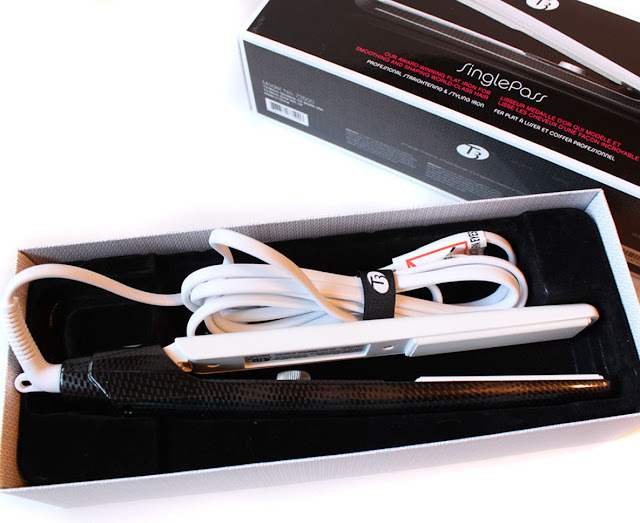 Digital T3 Tourmaline, SinglePass™ technology delivers accurate and consistent heating to style hair and seal the cuticle in one smooth pass thus protecting the hair against damage often arising from repeated passes. Other features include: 9ft, 360° Swivel Cord; Auto World Voltage (100-240V); Heat-resistant Mat; 2-Year Warranty. Having fine color-treated hair I like that I can set the temperature and it will be monitored throughout. T3 SinglePass Irons have a microchip brain that constantly measures and adjusts the temperature of the plates for accurate, consistent heat the entire time you are styling. My hair requires a lower temp at around 300 but it can go all the way up to 450. The 1 inch style makes doing all sorts of hair styles easy. You can straighten, flip, curl, lift, shape waves, and add body. 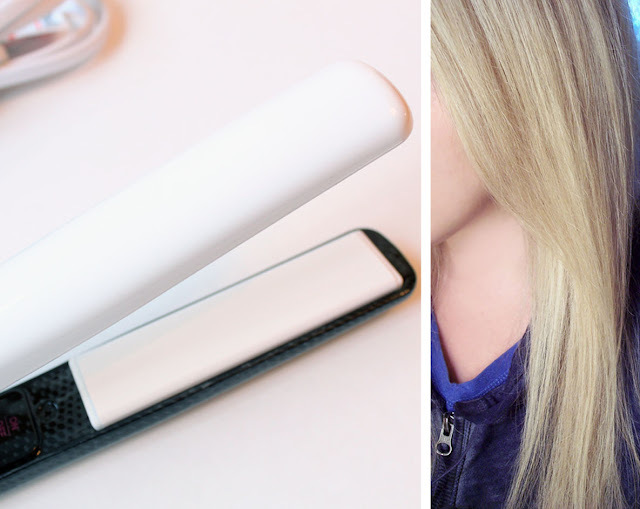 Whether you want go glam with sleek, straight locks or wow with smooth tresses that glow with body & shine, the SinglePass takes the flat out of flat ironing while leaving hair glassy smooth, lavishly hydrated & perfectly in place all day long. This Iron works so much more better than my old one! I no longer have to do multiple passes to get through my naturally curly hair, just one and you are done. It glides through the hair so effortlessly with out any tugging or pulling. The T3 Tourmaline + Ceramic technology gives such a smooth, shiny long-lasting finish to the hair. I really love this straightening iron. It's easy to use, heats up quickly, and gets my hair super smooth and frizz free with out doing damage. With a price this unbeatable the T3 Single Pass would make an awesome gift for yourself or the beauty lovers on your list! Costco is bringing it this season in the beauty department, I think I have done half my shopping there!